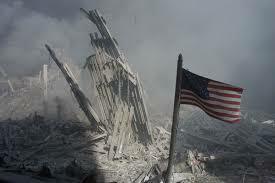 September 11th – My memories as a reporter. It was – as we all remember – a beautiful Tuesday morning. I got up, got dressed, got coffee and brought my sweet girls to school. Maria was in Kindergarten and Lex was in the first grade. Then I went to work. To be honest, much of the next few hours are a total blur. I remember looking at the televisions in the newsroom – and watching the video of that plane – it sent shivers down my spine. I can’t imagine seeing it in person. We had a very quick editorial meeting – all gathered around those televisions. Managers began sending people out the door. Because we didn’t quite know what was going on – it was sort of guess and go. They sent people to the airport. I was in waiting mode. Once the second plane hit, they sent me to the Niagara Falls Air Reserve Base. I went with Mike – a photographer I often worked with. As we headed down to the base, a feeling of dread as we listened to the news on the radio. I called my dad – and we talked about what was going on.I remember he wanted me to call my boss and tell them I couldn’t go to the base because it might be a target for terrorists. Obviously, I couldn’t do that. And frankly, had no desire to. As a journalist – you want to be where the action is. And we weren’t wrong. There was action. So much action. I’d been to that base dozens of times. It’s always the same. A bunch of folks with a big job – but always nice and funny. That day was incredibly different. As we pulled up – those Guardsmen and women looked different. They looked very serious and just like all of us – they looked scared. We were there talking with them – when they got news of the Pentagon attack. We knew before it was announced on the news. And the day dragged on. The fourth plane. The fear. The questions. The everything. I remember all of a sudden it was 3 p.m. and my girls were getting out of school. I was so worried. I had a girlfriend take them to her house because I knew it would be a late night. We stayed at the base all day. And then something happened. Once it got dark, we got word that there were fighter jets hovering all over the country – above New York, Washington D.C., and other areas. Those jets needed to be refueled. Mike and I knew what would happen next. The noise, the commotion, the reality. Right from our base in Niagara Falls – KC130 refueling planes took off. It was dark – very dark – but we could hear and then see them. It was so loud. We went live on air to talk about it – and once the live shot was finished – I remember crying so hard. I’d been basically crying on and off all day – but this time – I was sobbing, tears running down my face. But it wasn’t fear. Or even sadness. Although I felt those. It was pride. Something about those planes going to refuel those jets made me feel a sense of pride. I had nothing to do with those planes. Nothing. I just watched them leave from the base in my hometown. I knew that Western New Yorkers were playing a role in keeping us safe. That was amazing to me. We stayed the night – and part of the next day before being relieved of duty. But there was no relief, of course, from what had happened. I had to try and explain this to my girls. That was tough. But the toughest part – for me – were the next two weeks. Over the course of the next 14 or so days – I covered at least a half dozen memorial services for some of the 26 people with a WNY connection who were killed. So much sadness and heartbreak. There’s always a Western New York connection – and this time we’d hoped there wouldn’t be. There was Sean Rooney. His family is amazing. His sister. His wife – Beverly Eckert (who has since died in crash of flight 3407). I covered the memorial service for Sean. It was so heartbreaking. I talked to Beverly about how she was on the phone with him as the World Trade Center – where he was inside working – was burning. It was unfathomable to me. She was so strong. And brave. Here is more about Sean Rooney. And perhaps the story that sticks out most to me is the Lynch Family. Michael Lynch. A hero. A true American Hero. A New York City Firefighter. One of the hundreds who went INTO those burning buildings. One of those hundreds who wanted to save people; who didn’t worry about his safety. 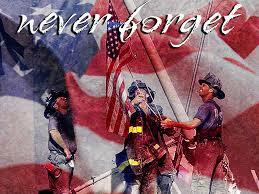 He was one of the 343 firefighters who died that day. Didn’t know anything about him. I just knew he was a hero. 2 years later, when I went to New York to cover the 2 year anniversary of the attacks – I spent the day with Michael Lynch’s family (many live in WNY still). From his young niece who read his name during the ceremony, to his incredible sister, Kathleen who had such pride for her brother – to his dad, Jack – who was heartbroken but determined to somehow find the remains of his boy – which he eventually did. The entire family was so wonderful. So strong. Those two days in New York were a complete eye opening experience for me. I wasn’t sure what to expect. People – so sad and heartbroken. It was only two years later – so many wounds – so much anger – bitterness. Still fear, too. It was one of my most difficult assignments. I felt so grateful to be spending time with the Lynch family. I remember how proud they were of Michael. I was and still am inspired by that. Michael Lynch was just 30 years old. He had a lifetime ahead of him. But he didn’t think about that – he just ran into the burning high rise. Ran in there. Can you imagine? He ran IN. Michael Lynch and Sean Rooney are just two reasons why we can NOT forget what happened. Just two reasons why we have to remember and teach our kids. I have two babies born way after 9/11. I know they’ll learn about it when they get older – but, I do plan to talk with Emma later today when she’s home from school. Not to put fear into her – obviously – but to teach her about resilience, determination, pride, and heroes. As difficult as it was – I am – without a doubt – a better person because I covered these stories. 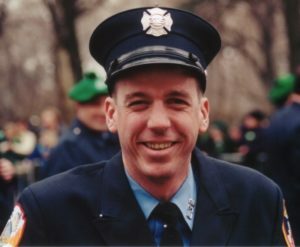 The Michael Lynch Memorial Foundation has been established to help other firefighters, police officers and their children. 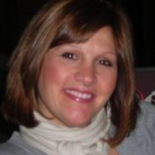 Here is a LINK if you would like to help.